Traveling many miles comfortably is hard work, especially for aging parents. That said, adult children coming to visit makes most Dads happy and proud. Is there a better Father’s Day Gift? Gone are the days of short walks to the boarding gate, and a feeling of relaxation and security when most adults stepped onto an airplane. It was the norm in the 20th century. As Father’s day approaches I’m thinking how much my Dad loved when I returned to my childhood home where he and Mom still lived. That was pre-9/11. I’m also thinking about Sr. Advisor R’s flying “alone” back to NY three years ago for our anniversary–at age 98–and about the enormous effort it must have been. Equipped with TSA PreCheck* to ease TSA’s screening, and my fit-into-the-overhead case and under-seat-size soft-sided case, I embarked on an 8-day trip to the NW with my husband and returned to NYC last night. 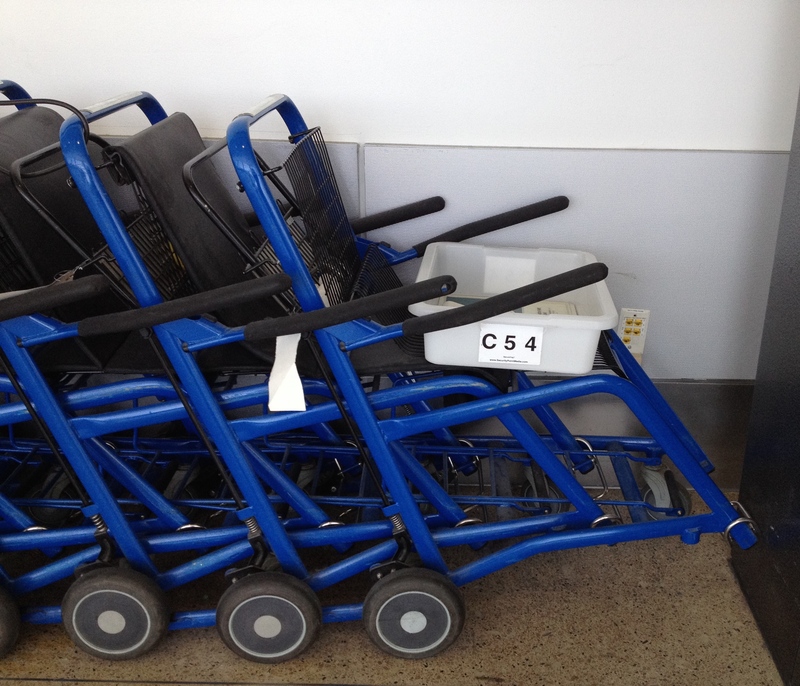 Shortly before leaving NYC a friend, hearing how happy I was to have TSA precheck and how unhappy I was about needing to navigate my carry-on through seemingly miles of airport corridors, suggested a wheelchair. “I use them sometimes, when I’ve got a lot of stuff and don’t want to wear myself out before even getting on the plane,” she (not yet a “senior”) said. If Dad wouldn’t consider using a wheel chair until he was in his 90’s. why would I at a much younger age? Is it pride—or stupidity? I wondered to myself. With so many elderly parents living far from their adult children, Father’s Day, as well as other holidays and milestone events, necessitates travel if families want to be together. will be too long, this coming Saturday’s post offers strategies to ease the situation: current TSA information to make air travel more user-friendly and suggestions to help aging parents and elders we care about. 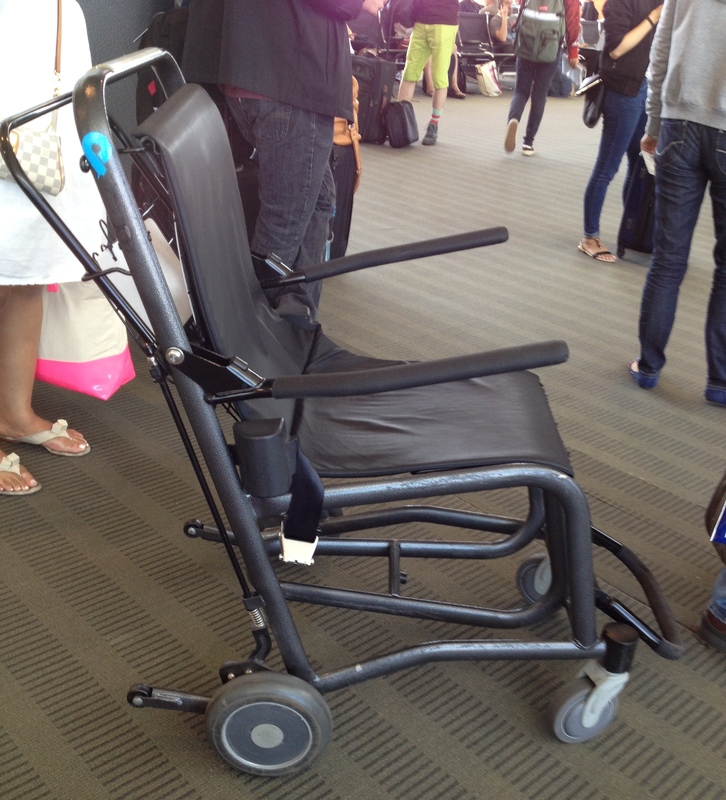 In short, order wheel chairs ahead of time and go online to sign up for TSA PreCheck or Global Entry. Details to follow. *November 2015. 5 months and many cross-country flight later I–and friends–have found in some airports that the TSA PreCheck lines are as long as the regular lines and some terminals offering PreCheck still require the same inconvenient screening of non-PreCheck. That said, PreCheck is usually preferable, but don’t get stuck in a long PreCheck line if you can see a shorter one is available and you don’t mind the inconvenience of taking out your laptops, liquids, removing shoes etc. A tie!? When men “dressed” to go out ties were a most popular Father’s Day gift. While still a popular gift, today’s more casual dress code makes me wonder about the future of ties…they aren’t listed under “Accessories/Clothing” in part 1. However, this Father’s Day Cake, complete with tie, could be a creative answer for those who bake and like using marzipan. Can anything top making this cake as a loving tribute to a great Dad or Grandad? For those who don’t bake, my round-up continues….. Hearing: Hearing loss is a problem for older people and for those who communicate with them. Assistive listening systems: products for TV watchers who need very high volume to hear well (while others don’t). Click the preceding link then scroll down to “Assistive Listening Systems” if you wish to educate yourself. Amplified Telephones=better conversation for all. This link provides a quick education as does the “Amplified Telephones” section of this U. of Calif at San Francisco Medical Center site. A good audiologist’s contact information. Do the research to up the odds that the hearing loss will be diagnosed and corrected. Put the information in a gift box with the appropriate note and offer transportation to and from the appointment if you wish. This 2011 NY Times article, mentions/praises Clarity phones, you might want to click the pictures (amplified phones, mobile phones) for more info. Googling “telephones for hearing loss” provides additional phone options. Keurig Coffee Maker and coffee pods–a year-round, expensive–a gift my dad would never have bought for himself–a family-get-together-to-give gift perhaps. Coffee lovers, young and old love it and the coffee pods that can be delivered monthly. A mug (perhaps with a family photo?) to microwave the coffee in. What about that Father’s Day cake? An electronic book. Because the font can be enlarged–I hear it’s a Godsend. The background color can also make a difference so check this out with someone knowledgeable. A Verilux lamp can be especially helpful for those with vision issues. Two people I know (one with advanced macular degeneration) have the “Original Natural Spectrum” floor model. They say the light bulb adds clarity and the gooseneck directs the light where it does the most good for reading or doing desk work. The mini-maglite, small flashlights that give great light in dark places. Pocket magnifying glasses great for reading small print (think menus and the check) in dark restaurants. Pocket 3X strength magnifying-glass takes up little space, is light weight, not pricey (around $10 at Barnes & Noble), remains lit without having to keep a finger on any button. Amazon”s Lightwedge magnifier gets same rating, looks similar.Also check out the 5X strength ($9.99) from another mfg. Note: This guide for buying magnifying glasses for those with low vision can be helpful. Check out “Newsworthy” (right sidebar). Links to timely tips, information and research from top universities and respected professionals–to help parents age well. 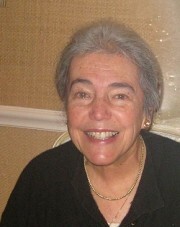 Neither Alzheimer’s nor dementia is in my husband’s or my family. And I’ve never written specifically about it or any other illness in my posts. 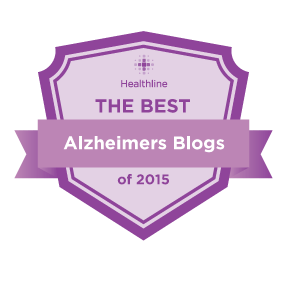 The closest I’ve come to mentioning dementia is including links in the sidebar (“Newsworthy“) to articles I’ve reviewed from highly regarded medical school publications. * So Help! 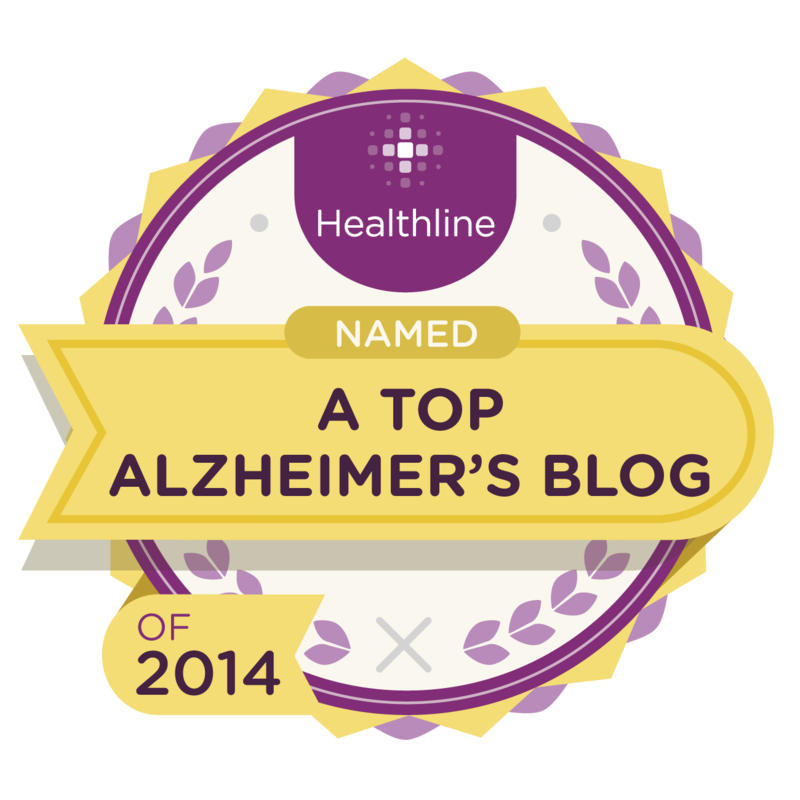 Aging Parents takes special pride in the reasoning the led to including our blog in this “Best” list of 23 Alzheimer’s blogs. Helping Parents Age Well isn’t just about helping our parents. for a good life-coaching guide and regular reading. Since the “Key Thoughts for Adult Children of Aging Parents” list goes back to my early posts, and many may not be aware of their publication, revisiting the list makes sense. • Will Actions Empower or Diminish? • Does the Quick Fix Harm Later Goals? • Is it Better for Me or for My Parents? • Are Life and Limb Threatened? Regardless of who’s doing the caregiving or the illness involved, the last key thought keeps us balanced and healthy and–ideally–better able to handle what comes our way. For those who are fortunate enough to have fathers to celebrate FATHER’S DAY with, we wish you a day that is special; a day that will provide happy memories for you and for your dad. And if you don’t have a father, you’ll no doubt think of your father as I think of mine. Perhaps there’s an elderly gentleman who will feel very special if he receives an unexpected phone call with Father’s Day wishes. As I write this I’m thinking about who I will phone. Father’s Day provides us another chance to give elders attention, so important in aging well. That should make them feel good. And doesn’t that make us feel good too? Check out “Newsworthy” (right sidebar). Links to timely information and research from top universities and respected professionals, plus practical information–to help parents age well. *Some dementia/Alzheimer’s articles have been “retired” to the “Newsworthy Archives.” Click tab above. Not needing to reinvent the wheel, I’ve updated the list and added a bit. It’s long now. I’ll post in 2 parts so it’s not overwhelming. Hoping that your shopping is made easier and that the aging men in your life will have smiles on their faces when they open their gifts. 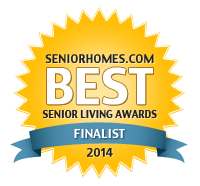 Computers–especially designed for seniors: Check the 6 options’ details in previous post https://helpparentsagewell.com/2011/05/28/computers-especially-for-seniors/ . 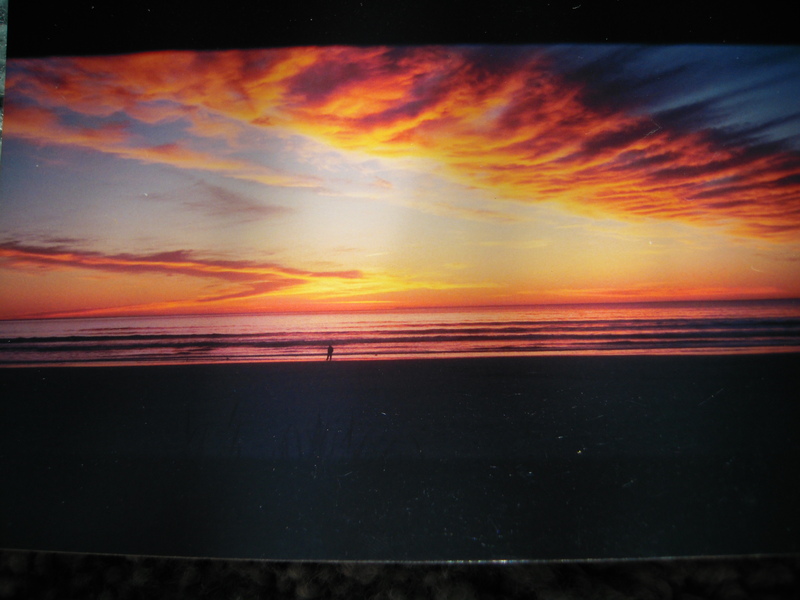 –2 Tickets to sporting events etc.–accompany Dad or make it easy for Dad to take a friend. –A short outing with Dad (fishing trip, golf game, movie, zoo, his old neighborhood if it’s near–you might learn additional family history). –Pedometer. 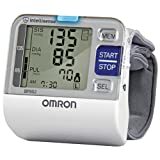 Hammacher Schlemmer’s full-screen pedometer $34.95 (2 5/8 Hx 1 1/2 Wx 1/2 D). Steps walked, distance travelled, calories burned, time elapsed, average pace–all seen at once, on one screen operated by one button. –Toe Nail Clippers: for elders with still-steady hands who don’t have diabetes. –This Guardian medication reminder was featured in a respected hospital’s magazine, sent to seniors in surrounding communities. Good idea for forgetful elders? 4 more categories to go–next post. I’m reminded once again of the loss of flexibility impacting some of the things chronologically younger people take for granted–not because Father’s Day is June 17th, but because an older person was recently talking about how difficult it’s becoming to bend as far as necessary to cut his toe nails. There’s nothing better than making someone feel special and these cakes are truly works of art, aren’t they? I am not a baker but I do think if Dad were alive, I might just get some of those sheets of marzipan, some food coloring, and–using a packaged mix–try the cake below. 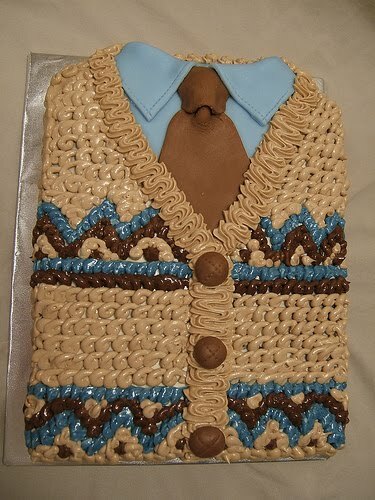 The cake at the top needs, I think, some kind of colored butter cream frosting in addition to the marzipan– to make the sweater vest–which I would probably do in one color since it would still look nice and would only need one food coloring. On second thought, possibly I would go to the extra trouble of making the cake at the top. Dad would no doubt be wearing his sweater vest over a sport shirt–as he did every day, so Father’s Day would probably be no exception and he would be “tickled” when he saw that cake. If inspired, you can Google many photos of Father’s Day cakes, complete with recipes, and I’m guessing all are easier to make than the ones above. So I’m including a link with photos and difficulty levels– http://www.wilton.com/ideas/browse.cfm?cel=Fathers-Day&cat=Cakes–should you be inspired. In the final analysis I think we know it’s the warmth of being together that pleases parents most.